And the fact that Sauternes’ problem is not unique among businesses in a constantly changing world, nor even unique among wine regions, doesn’t make the difficulty any less painful. Nor has the problem just raised its head, as it’s been growing for some time now. It’s all about demand, sales and brand image. While Sauternes continues to be recognized as one of the world’s great wines, there is less worldwide demand for sweet wines in general as a segment of overall wine sales, which also translates into more competition for Sauternes from other sweet-wine regions for a share of a declining market. When I was in Bordeaux recently for the annual en primeur barrel tastings, the question of what Sauternes should do came up more often in conversation and seemed more urgent than in previous visits. 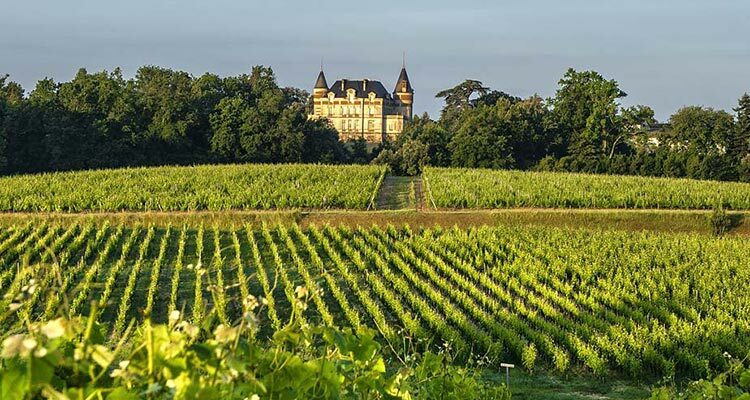 While it’s hard for the region’s producers to dismiss one possible solution – dry white wines – there is the fear that they will become too identified with the Sauternes and Barsac region. Then there is a question of what the dry whites should be called. Change in business – and winegrowing is very definitely a business that supports its art – is a constant, one that companies have always had to deal with, particularly those on the downside of change. In recent decades, many industries have grasped for solutions, among them book stores, big box retail stores, network TV, coal mining, music recording, newspaper and magazine publishing, restaurants that serve lunch, circuses, drive-in theatres and tobacco farming. The generic options are simple to outline, but all are difficult to achieve: try to regain market share, or at least slow down the decline, through costly PR and advertising campaigns; find an alternative product to take up the slack; accept the fact that volume and price may continue to decline, or abandon the market. The illustrious Château d’Yquem launched its own dry white – “Y” (pronounced “ygrec”) – in 1959 when there were no market pressures. More recently, others have followed suit. Château Coutet, a premier cru, introduced its dry wine, Opalie, with the 2010 vintage and makes a rather modest 250–300 cases annually (out of roughly 3,500 cases total). During en primeur, I had lunch with Christian Seely and a handful of French wine buyers at Château Pichon Baron in Pauillac. Seely runs Baron for the owners, AXA Millèsimes, along with several other properties the company owns, including Château Suduiraut in Sauternes. 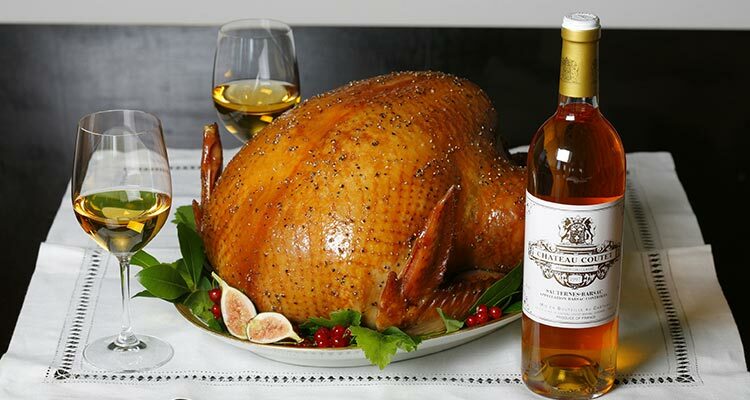 During the meal, Seely served the 2016 S du Suduiraut sec, introduced in 2003, with a young chicken with morels, and he expressed the belief that dry wines from Sauternes will help preserve the traditional sweet ones. In fact, while the production of the sweet Suduiraut is now less than 5,000 cases a year, Seely expects the dry Suduiraut to grow to about about 20 times that amount – 100,000 bottles – in the coming years. He is also bullish on dry whites from the Sauternes region because they have a differentiating factor. Most Bordeaux white blends are usually Sauvignon Blanc heavy, while Sauternes has a higher proportion of sémillon planted. 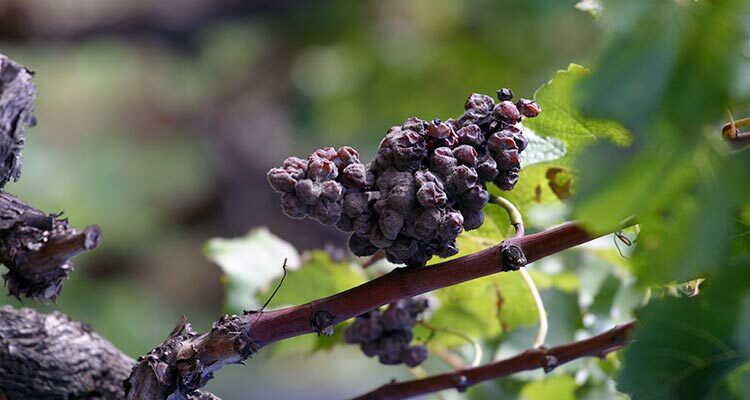 Lurton points out two other drawbacks in estates making both sweet and dry wines. First, as their production processes are different, considerable investments have to be made to produce dry wines as well. Second, she says, “is that the system has become more rigid. 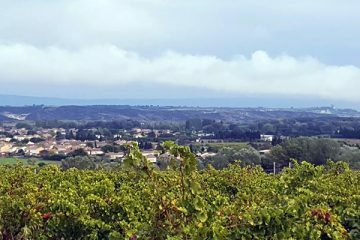 If you want to make a dry white, you can’t wait to see the evolution of the vintage, as you have to declare the surface area and the plots where you intend to make dry white right from the beginning of the year.” This is in contrast to, say, Roussillon where a producer can decide at mid-year whether her vineyard will produce sweet Banyuls or dry Collioure. There is also the question of price. For example, Château Suduiraut Sauternes sells for about $85, while the blanc sec goes for $33, although it does take fewer vines to produce a bottle of the latter. The market, even within Bordeaux, is tough. Some of the Médoc first growths, including Margaux and Mouton, have a white wine. And Pessac-Léognan produces world-class whites, as do some producers in the larger, adjacent Graves area. At the lower end, there are very affordable whites from Entre-Deux-Mers and elsewhere. So any blanc from Sauternes will have to compete in quality-for-category at all price levels with several other Bordeaux areas. Which leads us to positioning and labeling. At present, dry whites from the Sauternes region are labeled Bordeaux Blanc, a basic, region-wide category which tends to demand lower prices. A couple of years ago the proposal was made to call dry whites from Sauternes Graves, its AOC neighbor to the north. But the proposal which has divided châteaux owners is a somewhat more audacious idea. A few years ago, Sauternes set out on a campaign to broaden its image in the U.S. and elsewhere without changing – or adding to – its sweet wine status. The goal was to lure Sauternes consumers to try it as an everyday table wine – especially well paired with hot and spicy oriental fare. Baly, who went to business school in the U.S. and has lived in Boston, has been a great advocate of this approach. “For the past seven years, we’ve put together a special Happy Thanksgiving menu for Coutet – and every year people send us their success stories with the experience of pairing sweet wine with the main course,” Baly says. That message continues to be used by Sauternes producers, but it is difficult to judge how much such campaigns have moved the needle. As noted, other sweet wine regions have also walked this difficult route. Port has expanded its repertoire to late-bottled vintage (LBV) in 1970 and pink Port, while some producers, such as the Symington estates and brands, have gone wholeheartedly into using its vineyards for both Port and Douro reds. The Tokaj region has a campaign to promote its major grape, Furmint, for all iterations of the region’s wine. Alsace and Germany, to the lament of the declining loyalists, today mainly produce somewhat dry table wines and much less sweet wines, such as their famous trockenbeerenauslesen. Marsala has not quite disappeared, but many of its producers have abandoned what is today mainly a cooking wine to produce only Sicilian dry wines. Of course, there is no danger that Sauternes will disappear, and no one has seriously raised that possibility. But what still has to settle out is what kind of ratio of dry to sweet will work out, and which châteaux will be holdouts and continue to produce traditional Sauternes only. And the debate over what to call a dry white wine from Sauternes and Barsac is still a rancorous one – Bordeaux Blanc, Graves or Sauternes? “Would you make a still Champagne?” Lurton asks. Well, yes, Champagne does. But its production is miniscule, and it is safely tucked away with its own AOC, Coteaux Champenois.